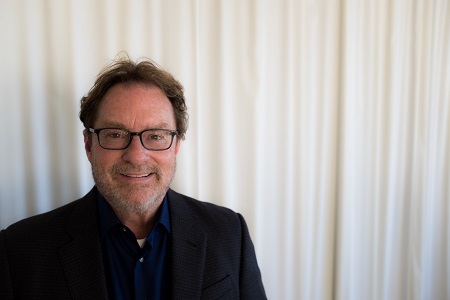 Character actor Stephen Root joins us to discuss some of his most memorable roles. He's been in over 200 films since he got his start in the late '80s. Stephen works in a lot of acclaimed films and TV shows. There's "Office Space," where he played the meek, mumbling, stapler-obsessed Milton. Then there's "Newsradio," where he played billionaire Jimmy James, a role he'll talk about at length in this interview. His most recent work can be seen on HBO's "Barry." On the series he plays Fuches, a hitman's screwball boss. Odds are you've seen his work in "Get Out," "O Brother Where Art Thou," "Star Trek: The Next Generation," or "King of The Hill." Stephen voiced a bunch of parts on "King of the Hill," and it's some of our favorite work of his. He's probably most famously for voicing Bill, Hank Hill's kinda sad neighbor. He'll tell us why this voiceover role was one of his favorite gigs. Plus, he'll tell us how he got the part in HBO's "Barry," and how he helped flesh out his character's role.